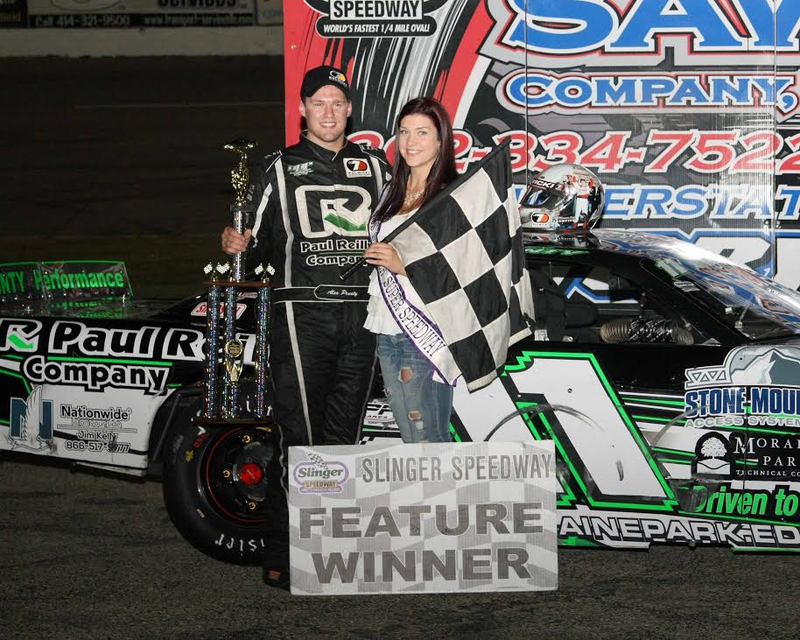 Alex Prunty Racing: Alex Makes It Back2Back Wins, Wins 1st Feature at Slinger in a SLM! Alex Makes It Back2Back Wins, Wins 1st Feature at Slinger in a SLM! 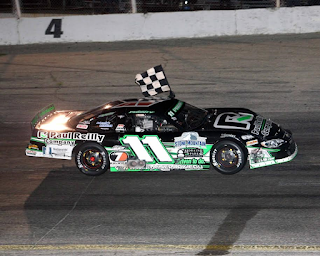 Slinger, Wis., Aug. 7--—Kulwicki Driver Development Program competitor Alex Prunty took the lead on lap four and drove to his first career super late model feature victory at the Slinger Super Speedway in the 60-lap main event Sunday night. Travis Dassow led the field to the green flag and paced the opening laps as fellow front row starter Prunty dropped in line behind him in second just ahead of Nick Wagner, Steve Apel, and Rob Braun. The top two ran single file for a few laps while Apel worked the high side to pass Wagner for third, leaving him to battle Rob Braun and Gary LaMonte over fourth with Chris Blawat and Brad Mueller lurking close behind. On lap four, Prunty dove to the inside of Dassow exiting turn four and competed the pass for the lead, stretching his advantage as Apel worked over Dassow for second. 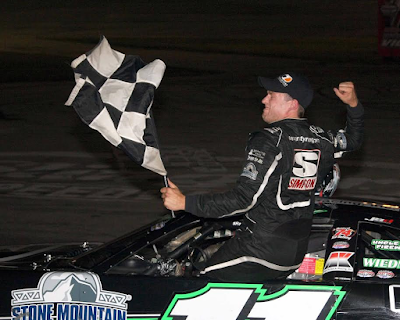 As Prunty edged ahead, Apel took to the inside lane to take second from Dassow while behind them Braun, Blawat, and LaMonte occupied the fourth through sixth spots. Prunty began to work lapped traffic with Apel attempting to close in as Blawat caught and passed Dassow for third. Prunty methodically picked his way through the lapped traffic and never allowed Apel to close to more than a few car lengths as the driver on the move in the closing laps was LaMonte who slipped by Blawat for third. 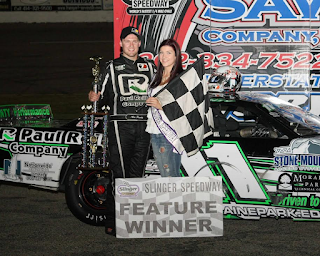 Prunty was never headed as the race ran caution free and he took the checkered flag ahead of Steve Apel for his first career super late model feature victory at the Slinger Super Speedway. Gary LaMonte finished in third while Chris Blawat crossed the finish line in fourth and Travis Dassow was fifth. Rob Braun took the checkered flag in sixth place ahead of Brad Mueller and Nick Wagner while Ryan DeStefano and James Swan rounded out the top ten. Mike Egan won the 30-lap super late model semi-feature over James Swan and Dave McCardle. Randy Schuler was fourth and Tim Lampman finished fifth. Super late model heat races were won by Mitch McGrath, Alex Prunty, and Gary LaMonte while Brad Mueller was the fastest qualifier with a lap of 11.237 seconds.